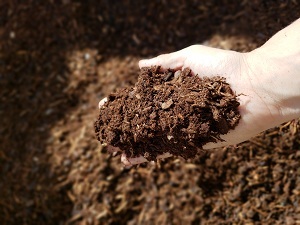 Did you know fine bark works well as a top dressing or topsoil for your flowerbeds? Fine orange bark ranges in brown to orange colors. Fine orange bark helps any landscaping project stand out. This is especially true for flowerbeds and gardens. Fine orange bark is an excellent decorative bark. You can use it to spice up walkways, pathways and more. Good topsoil improves the look and health of your landscaping projects. Topsoil has some other key benefits. Topsoil provides nutrients to your plants. This is partly, because topsoil is porous allowing it to retain water for plants. Topsoil keeps your plants healthy, while improving the look of your landscaping project. Topsoil reduces plant erosion. There’s nothing more frustrating than developing a nice landscaping project and losing it to erosion. The erosion is caused by wind and rain. Protect the health and look of your landscaping projects with our fine orange bark.